Thanks to its contrasting landscapes and benign climate, Catalonia is the ideal destination for lovers of all kinds of active tourism pursuits. The Pyrenees provide the perfect settings for hiking and cycle tourism, skiing, adventure sports and family outings. And only a few kilometres away from our most celebrated peaks, the long beaches in the south or the hidden coves in the north, with their crystalline waters, are ideal for water-sport enthusiasts. Catalan, Spanish, and the Aranese dialect of Occitan are the official languages of Catalonia. Catalonia is quite diverse topographically, offering a variety of landscapes for one to enjoy—from the Pyrenees peaks in the north to the warm-water Mediterranean beaches to low-lying dune-backed delta land in the south. This diversity in topography lends to an equally diverse climate across the region, but most visitors can expect 9 months of mild-weather activities, and the Mediterranean coastline is excellent to visit year-round. 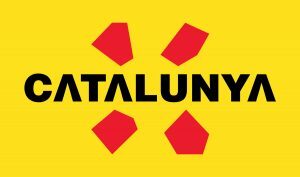 Catalonia is made up of four provinces: Barcelona, Girona, Lleida, and Tarragona. Catalonia is a culturally-rich destination with a distinctive language and folklore, and heritage dating back to the late 8th century. Today, 30% of the natural land falls under some measure of protection here, and you can visit 18 natural parks, including one national park. Catalonia is also a foodie must. You are spoiled for good choices here with 54 Michelin Star restaurants, 37 gastronomic hotels, fresh farm food markets, and food foraging opportunities. We recommend you try: Tapas, pintxos, paella, and sangria. The region is also home to several year-round public festivals, allowing you to immerse in the culture, be it at an agriculture, music, art, or the day of the dead festival. Catalonia’s waters offer an impressive opportunity to indulge in everything from leisurely swimming to nautical activities to prawn-fishing with the locals. Aigüestortes and Sant Maurici National Park boasts 400 lakes within a 20 km east-to-west and 9 km north-to-south radius.